Ticket to the Stars is Quickspin’s next game - a high volatility slot! Only days after the release of Divine Dreams Video slot, and Quickspin is still hard at work. In fact, the award-winning game provider announced its next game and it goes by the name of Ticket to the Stars. To be frank, this new release promises even more than the previous game since the max win is a lot higher! In fact, if you remember, when Divine Dreams hit the lobby of online casinos all over Britain, we were quite surprised by the max win of 7,200x your bet. And yet, Ticket to the Stars promises even more since the max win is 10,000x a player’s stake. If you believe the rumours, that is. Apparently, the game will go live in online casinos across Britain on 12th February. But we’ve had the chance to have a quick look at it and here’s what we know so far. Buckle up for an adventure! With the release of Ticket to the Stars, Quickspin is inviting players to go on holiday in an intergalactic destination. In fact, Quickspin believes that every star has the potential to be an excellent place for romance and wealth too! To sum up, Ticket to the Stars has 5 reels, 3 rows and 25 paylines. What’s more is that this slot also has an Unlimited Multipliers meter and Free Spins. So, this game appears to have everything to entertain players all over the world. But let’s not forget to mention that as for most Quickspin game, the team did an incredible job with the graphics! But, the most impressive thing beside the max win, it’s the high RTP of 96.52%, which is somewhat remarkable for a game that has high volatility! 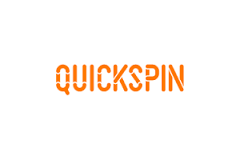 2019 seems to be the year of change for Quickspin. In fact, both Divine Dreams and Ticket to the Stars appear to target savvier casino players. Will high volatility and huge max win slots become the new standard for the company this year? Well, we’ll just have to wait for their third release to make up our mind.